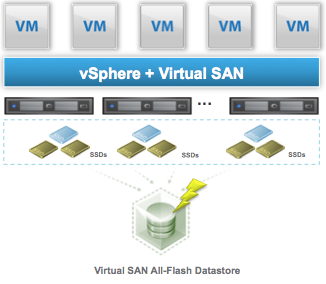 VMware Virtual SAN (VSAN) is a hypervisor-converged storage solution for your vSphere environment. 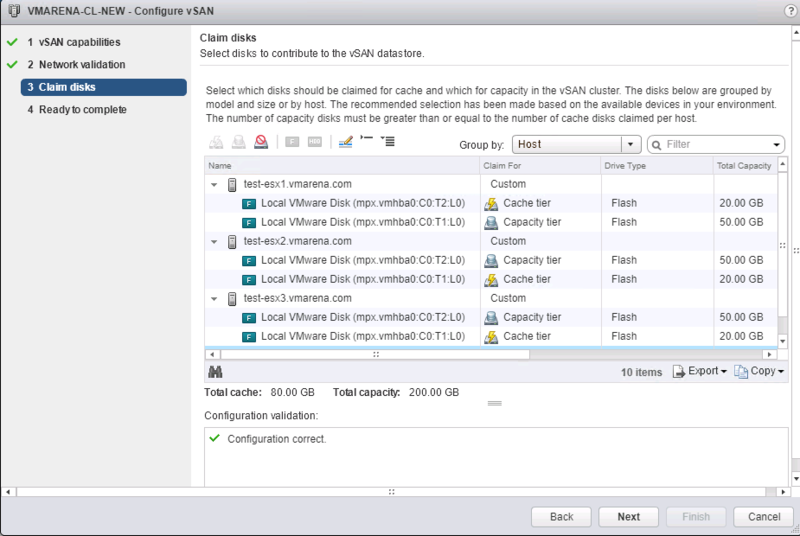 In this post I will explain about how to perform vSAN All Flash configuration . In All Flash Configuration one designated flash device is used for cache while additional flash devices are used for the capacity layer. In an all-flash configuration, 100% of the cache tier is used for the write buffer, with no read cache. A standard vSAN cluster consists of a minimum of three physical nodes and can be scaled to 64 nodes.All the hosts in a standard cluster are commonly located at a single location and are well-connected on the same Layer-2 network. 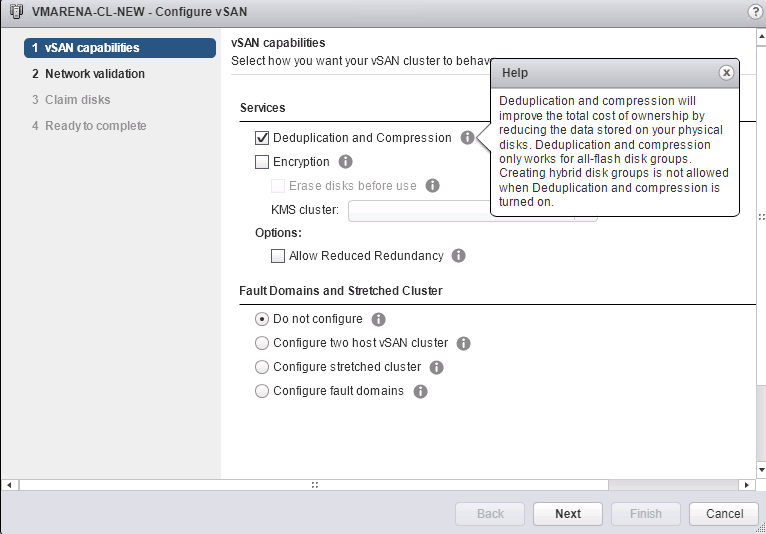 We are configuration the vSAN with below and Setup is on Nested Environment . In my previous post I have explained about the requirement and configuration of vSAN in Hybrid mode. And you can follow the same article to configure the prerequisites like Network , HA . 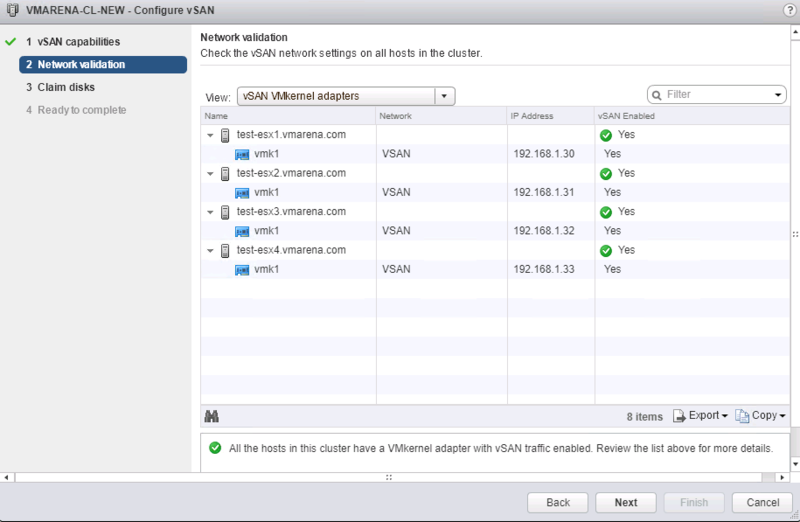 After creation of VMkeirnel for virtual SAN traffic you can enable VSAN on the cluster from web client . Addition to my previous post you have use all flash hard drives for configuration and in my case I have configured both disks to flash mode from web client . Note :- We are not using and KMS and Fault Domain so no encryption and FD are selected . Next page is to claim available disks on the ESXi hosts , as we using all flash configuration you can see all disks will be flash. 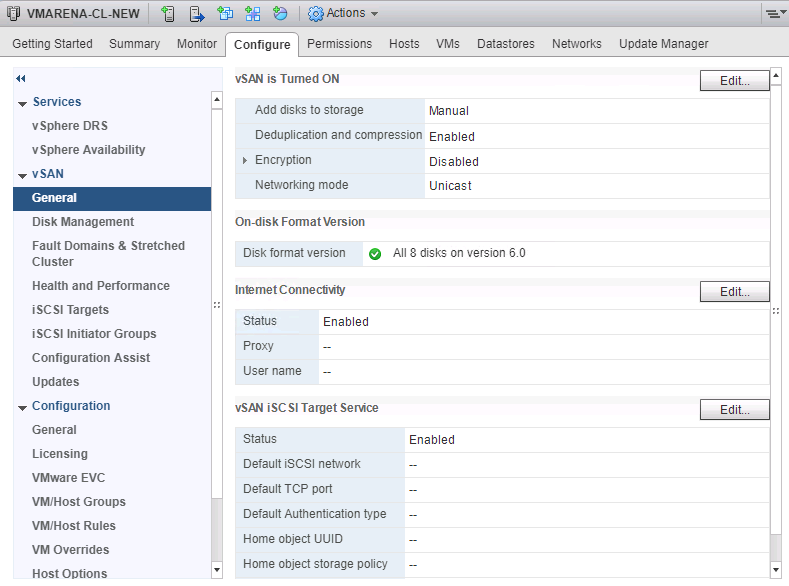 Next you can see there will vSAN data store will be available on the Cluster . Navigate to Cluster -> Configure -> Datastores , and you can verify that vsan Datastore available on console.